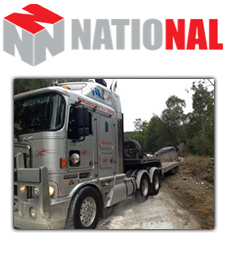 National Truck Repairs Body Builders are highly experienced in all facets of truck, trailer and machinery repairs. Our specialist team of Qualified Body Builders are able to manufacture panels, re-align chassis, fabricate components, even repair a ding in a panel. 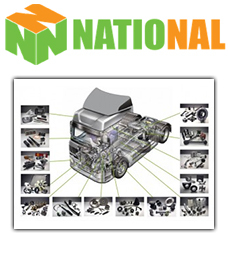 National Truck Parts & Accessories experienced sales team are dedicated to supporting our customers. With a vast supplier network, our sales team can assist with all of your parts requirements from the one location. 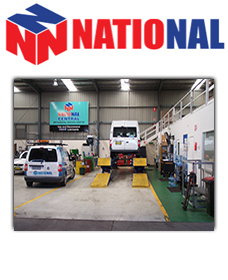 At National Truck & Coach Wheel Alignment we pride ourselves on providing superior service and value. We will ensure you minimise your tyre and fuel costs using our specialist wheel alignment services to carry out total vehicle wheel alignment for Trucks, trailers, buses and 4WDs. 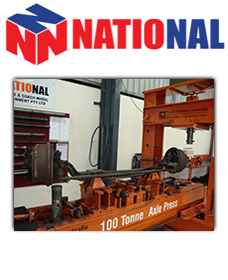 NATIONAL Heavy Towing & Salvage has expanded our towing operations with a Rigid & Semi Super Mega Tilt Tray for ‘all up’ lift accident and recovery work. Our qualified mechanical & servicing staff will carry out repairs & will assist you in all your mechanical needs. 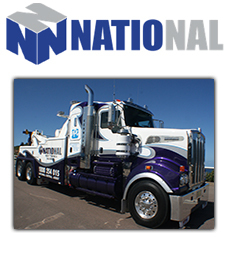 NATIONAL Heavy Towing & Salvage have our own fully equipped Heavy Duty Underlift Tow Trucks that are available 24/7 for your convenience. 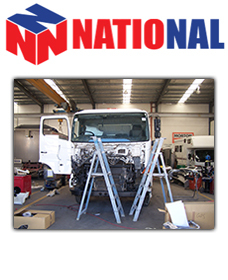 National Truck Repairs Body Builders are highly experienced in all facets of truck, trailer and machinery repairs. Our specialist team of Qualified Body Builders & Panel Beaters are able to manufacture panels, re-align chassis, fabricate components, even repair a ding in a panel. Check this space soon for a brand new service coming to you! 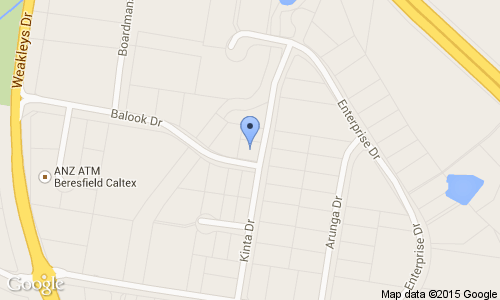 If you have any questions at all then please do not hesitate in contacting us. We look forward to hearing from you. 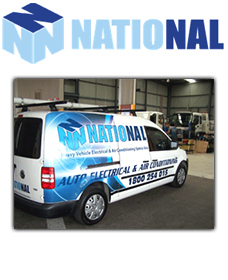 Here at National Central, we have combined a range of companies to supply superior personalised customer service, with the ease of all your repairs and maintenance all in one easy location. Supplying a wide range of services from 24/7 Towing and Salvage, Accident and Truck Repairs, Insurance Quotations, Spray Painting, Wheel Alignment and Brake Testing, Mechanical and Lubrication, Chassis Straightening right through to Parts and Accessories. We specialise in the repair and refurbishment of commercial or domestic vehicles from a light commercial van to prime mover and any trailer combination. Vans, Trucks Trailers and Machinery.